The long Democrat march towards giving America away to foreign interests by allowing aliens to vote in federal elections is discussed in this article. The only hope is to fight these globalists every step of the way. Democrats want voters - legal and illegal - to be able to wear billboards into the voting booth in order to sway elections. Just another example of the harsh sort of treatment experienced by voters from groups such as black panthers. Texas is charging forward on protecting the vote as is explained in this KXAN article. Good read. Texas' Proposition 8 seeks to strengthen vote fraud prevention provisions and is worthy of study for application to other jurisdictions. Great article from Lincoln Journal Star showing how Democrat data was hijacked by Russians an used against them. A federal judge in Alabama has ruled that the state's requirement for voter ID is not discriminatory. This is a must read article. This bizarre story is one of the details which make Special Counsel Mueller's grand-jury indictment filed in Washington, DC, on February 16th so fascinating, as well as deeply troubling. The indictment charged, as part of his investigation into Russian efforts to interfere with America’s election in 2016, with finding any links between Donald Trump’s election campaign and the Russian government. It charges three companies Mr Prigozhin controlled, including the Internet Research Agency and 12 other named Russians with identity theft, conspiracy to commit wire and bank fraud and conspiracy to defraud America by “impairing, obstructing and defeating the lawful governmental functions of the United States”. 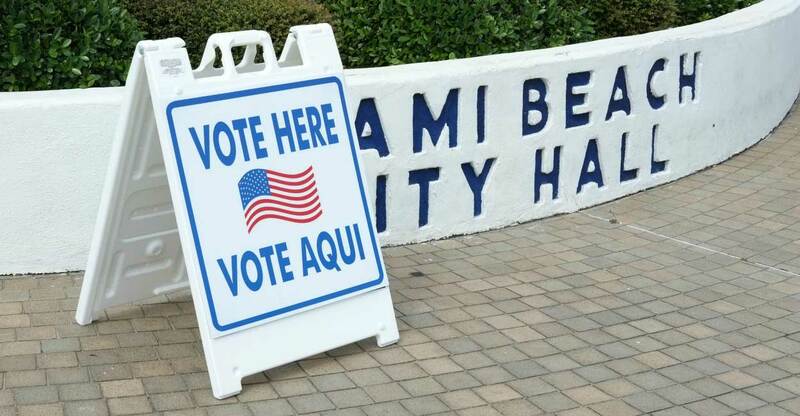 Voter information sharing between states is vitally important to thwart concerted efforts by Democrats to commit vote fraud; thus, this effort by Florida legislators needs to be read and promoted. If the allegations in this article are proven to be true, it indicts an incredibly gullible American electorate that is easily manipulated with even stupid news so long as the news can somehow inflame globalist passions to destroy America's constitutional form of government; thus, it is a good read if your objective is to learn the tricks and deceits used to sway American voters. The Washington Times reports, "Cyberattacks and hacking major federal government agencies ranging from the Office of Personnel Management to the State Department had become all the rage. The White House itself had been hacked, as well as the Obamacare website, among many other intrusions. Intelligence services identified various nations involved in assorted actions against us including Russia, China and North Korea." Yet, Mr. Obama did nothing about it except scoff at Mr. Trump's allegations - virtually all of which proved true. USAG Jeff Sessions is blowing more hot air instead of actually tackling vote fraud according to this article. Why Sessions doesn't actually take action is mystifying. The Western Journalism article focuses on President Trump's pre-election accusations about vote fraud - all of which were denied by Mr. Obama - but have since proven to be true. New Hampshire's Democrat Party and the League of Women Voters filed lawsuits against the state last year, saying a new law was confusing, unnecessary and intimidating. A judge in September allowed the law to take effect but blocked penalties of a $5,000 fine and a year in jail for fraud and said further hearings are necessary. The lawsuits have since been consolidated. Openness in Government is the very last thing Democrats want. Americans must fight for more openness, not less. Pennsylvania's vote was impacted by Russian influence in 2016, the state's Democrat Party argues. The response of course is back in 2016 when they were so informed, nothing but denials came forth from the globalist party. In just the last week, prosecutors pursued three voter fraud-related charges in three major battleground states—Florida, Iowa, and Virginia. Numerous other election irregularities such as voting beyond the grave, voting more than once, voting without citizenship, and registrations by nonexistent people have occurred throughout 2016. While some cases have been prosecuted, others were discovered through various news reports. Here’s a sampling of election irregularities that have already taken place well in advance of Nov. 8. Click HERE to read entire article. This article is from the socialist organ National Public Radio and exhibits the smear campaign against Trump orchestrated by the Soros-Clinton mafia. It is not published here for the truth of the matter but, rather, to show the extents to which socialists orchestrate jointly their efforts to deny the clear facts that are even stated in the article itself, blaming numerous cited instances of voter fraud on others. During the 2004 Presidential election there were allegations of voter fraud; the 2000 Presidential election was alleged to have been “stolen” by the Republicans. If you go further back in history, you can point to evidence the Democratic machine in Chicago manipulated election results to throw the 1960 Presidential election victory to Kennedy. A close reading of American history would reveal election fraud as a challenge to our democracy from the very beginning, and in every decade since then. It’s no surprise that we’re discussing it again. Voters are not required to present a verifiable photo identification when they vote, and if they wish, voters don’t even have to show up at the polling place, they can vote by mail. Voting by mail causes a variety of problems – first, it precludes anyone showing an identification, and second, it prolongs vote counts after the election as workers tabulate the ballots. And the greater the number of ballots requiring post-election, manual counting, the more opportunities there are for political operatives who have infiltrated our election workforce to manipulate results. And because voting by mail is done outside of the controlled environment of the voting booth at the polling place, there is even less guarantee that these ballots are not filled out by someone other than the person supposedly voting. An ongoing CBS4 voter fraud investigation has uncovered a dozen cases where Coloradans are suspected of voting twice. Previous CBS4 Investigations revealed ballots cast in the names of Coloradans who had been dead for months– sometimes years- before votes were cast in their names. In six of the new cases, voting records show the same people voting twice in Colorado elections. In another six cases, people are suspected of voting in Colorado and another state during the same election cycle. Lincoln Wilson, a registered Republican from Hale, in Northeast Colorado, is accused of voting in both Colorado and Kansas in 2010, 2012 and again in 2014. Wilson told CBS4 he voted in both states, but only “voted on local issues” and “didn’t vote twice for President.” Wilson is one of five Coloradans now charged by the State of Kansas for voting in both states. For years the political elites, backed by funding from George Soros, have fought common sense voter ID laws as blatant attempts of racist right wingers to suppress the votes of minority and low-income citizens. These same people tirelessly argue that there is no evidence of voter fraud despite the mountain of facts that keeps piling up the contrary. The latest evidence comes from Indiana, where CBS points out that the state’s voter registration database, like many others around the country, are “riddled with errors” including 1,000s of duplicate registrations and dead voters. A data analysis firm hired by a voter registration group said on Tuesday that Indiana’s voter database is riddled with errors, including thousands of people over the age of 110 who would likely be deceased but are still on the registration list. TargetSmart conducted a review of the state voter file maintained by Republican Secretary of State Connie Lawson’s office on behalf of Patriot Majority, a voter registration group with deep ties to the Democratic Party that says it was trying to register black voters in Indiana. Patriot Majority has been the focal point of a state police probe of possible voter fraud. The group said the discovery of numerous problems in the voter database does not necessarily mean this was the result of fraud. TargetSmart said it also found 837,000 voters with out-of-date addresses when compared to the United States Postal Service address database, or roughly one-in-five of all Indiana registered voters.